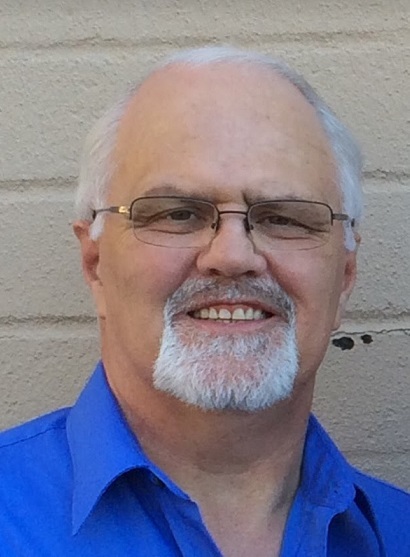 Gary Lee Sapp passed away peacefully at home on January 20th 2019, at the young age of 60. A Kansas City native, Gary was a proud Ruskin Eagle. After graduating in 1976, he followed in his dad and brother’s footsteps and began a 20 year career as a machinist and hazardous material handler at Bendix (Honeywell). During his years at Bendix, Gary began a family business, that lasted 14 years delivering newspapers for The Kansas City Star. Over the course of his adult life, Gary held positions as a car salesman, over the road truck driver, and most recently a machinist at Orbital ATK (Northrop Grunman). He was also a proud member and steward of IAM Local Lodge 778. More importantly than his career was his job as a dad. Gary took the role as a step-dad to Heather (Brian) Carpenter and Holly Brown, and later growing his family with the addition of Sara (Ben) Lawrence and Gary (Maria) Sapp, Jr.
Gary was so proud of his children, and their spouses, and was so excited to be a Papa to Kaylee, Titus, Gracelynn and Tobias Lawrence. There was nothing that Gary loved more than his family. He was preceded in death by his beloved parents E. Paul and Sarita Sapp, and older brother Rodney Sapp. Surviving siblings include Paul (Lori) Sapp, Tracy Barlow, and Bryan (Betty) Sapp. He will also be missed by numerous nieces, nephews, cousins, and his precious aunt, Shirley Washam. If Gary wasn’t working or with his family and friends, you could find him cruising Kansas City on his Harley, cheering on the Royals and Chiefs, or with his best friends Jim and Marcie Hixson at the lake catching as many fish as he could. Visitation for Gary will be Friday, January 25 at Park Lawn Funeral Home, 8251 Hillcrest Rd; from 6:00 - 8:00 pm. A private burial will follow at a later date. Visitation will be 6-8PM, Friday, January 25 at Park Lawn, 8251 Hillcrest Rd. ; private burial in Green Lawn Cemetery. Your family has my deepest sympathy and prayers. So sad. I will miss you my friend. You were absolutely kindest man , you will be very missed. Prayers to Gary’s family. Gary will be missed by many. I was always amazed on how many people he knew, it seemed like he knew everyone whenever we had a conversation. I know the world has lost a very compassionate person. He is with family and a lot of friends and classmates now. One day we will all see him again. The RHS Get Togethers won’t be the same. I can't grasp that your gone. I love you uncle Gary and we all will miss you. My thoughts and prayers to the family. Gary will be missed. Ride that Harley on the clouds my friend. Honored to be your friend. It is well my brother, we will carry on. Gary Sapp was a man that is adored by many. He was the most kind, thoughtful and generous man that I think I have ever known. No matter what, he was there if you needed him ... and he always had an uncanny ability to know when to reach out to someone who could use a shoulder are nonjudgmental ear. Men like Gary are few and far between, and honestly, I just don't think anyone thinks to build young boys into men like Gary ... I wish they did ... Our world would be better for it. I will miss you something fierce dear friend. You rode off too soon, my friend. You will be missed.